From pop music to tennis stars, society forgets according to a universal law. Most people leave just as their loved ones arrive — for it was only the loved ones who were still remembering. But the truly famous have to hang around for centuries; some, keen to be off, are with an “aching heart waiting for statues to fall”. Eagleman’s tale is an interpretation of what psychologists and social scientists call collective memory. Continued and shared attention to people and events is important because it can help to shape identity — how individuals see themselves as part of a group — and because the choice of what to commemorate, and so remember, influences the structures and priorities of society. This week in Nature Human Behaviour, researchers report a surprising discovery about collective memory: the pattern of its decay follows a mathematical law (C. Candia et al. Nature Hum. Behav. http://doi.org/cxq2; 2018). The attention we pay to academic papers, films, pop songs and tennis players decays in two distinct stages. In theory, the findings could help those who compete for society’s continued attention — from politicians and companies to environmental campaigners — to find ways to stay in the public eye, or at least in the public’s head. The study applies maths and a big-data approach to questions that have been studied at length in the social sciences. Using attention as a proxy for memory, the authors analysed online views of the Wikipedia profiles of around 1,700 sports stars, citations of almost 500,000 physics papers and 1.7 million patents, and online play counts of some 33,000 songs and 15,000 film trailers. Researchers had previously thought that the decline in the popularity of such cultural objects followed a smooth, steep curve. But analysis of the new study data revealed that a better fit was a shape called a biexponential function, which has two phases. It shows that collective memory dropped quickly, but that the subsequent decline in attention slowed considerably, and went down a much gentler slope. Although the shape was the same for each feature studied, the actual length of each phase was different. Music showed the shortest and sharpest initial decline in attention (taking 6 years) and the online biographies of the sports stars the longest (20–30 years). How come? The researchers propose an explanation. The first, steep decline phase is dominated by the process of communicative memory, which is the direct word-of-mouth transfer of information. And the second, more enduring phase relies more on cultural memory, which is sustained by the physical recording of that same information. That requires, of course, that the information is recorded. As an accompanying News & Views article highlights, for events that are memorialized with few cultural artefacts, such as Hurricane Sandy striking New York in 2012, policymakers could look at how to extend the period for which communicative memory dominates. For a short time, conversations about the damage it caused probably raised awareness of climate change as a serious threat. But as collective memory of the severity of the hurricane faded, so, too, did concern. The model does not apply in all cases, of course. Everyone will have their own example of an enduring figure still waiting in Eagleman’s purgatorial lobby for their name to become redundant. But it’s a neat way to apply the promise of big data to a new field of study, and one that could have real-world applications. It’s also another example of how what can seem to be random and individual events when studied at a large enough scale can reveal an underlying pattern. 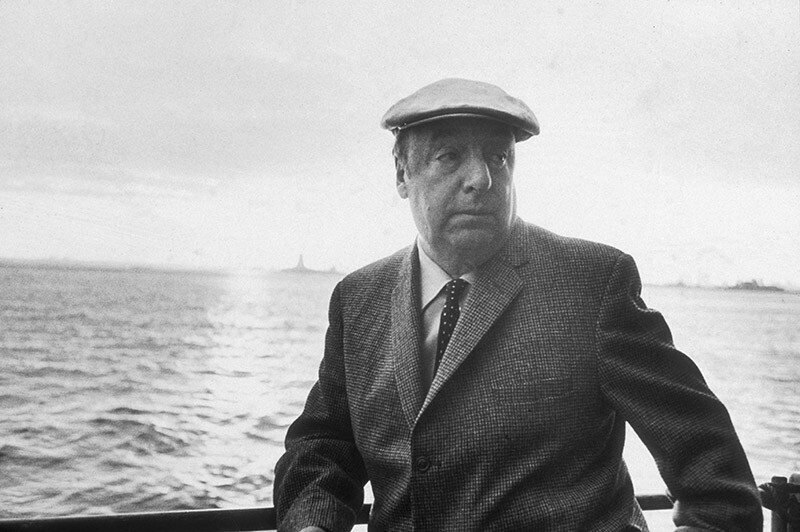 The researchers compare their biexponential function of collective-memory decay to the more poetic description of a two-phase system from Chilean writer Pablo Neruda: “Love is so short, forgetting is so long.” Which, at the very least, should keep Neruda hanging around for a bit longer.